What a busy weekend it’s been. Vancouver Whitecaps on Friday, the Provincial cup finals on Saturday and Sunday, TSS Rovers kick off their PDL season on Monday, then it’s more ‘Caps and more Rovers. But fret not, we have it all covered for you in our latest episode. We kick things off with a look back at the Whitecaps 2-2 draw with Houston Dynamo on Friday night. Late drama and a lot of frustration at the missed chances once again on display. 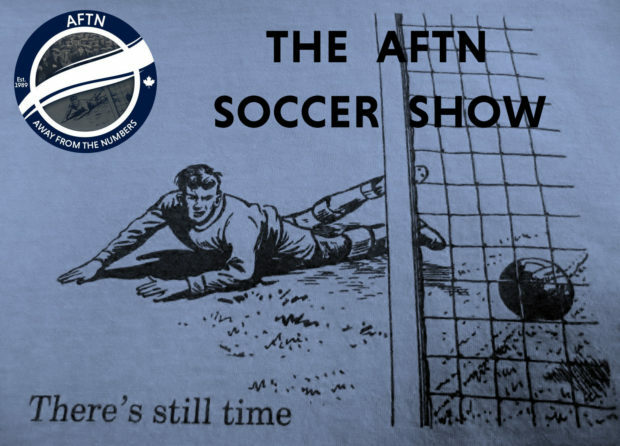 We pick over the bones of the game and the players performances and hear from both head coaches, Houston’s Wilmer Cabrera and Vancouver’s Carl Robinson. Next up is San Jose on Wednesday. The Earthquakes got out of their three game losing streak, and seven game winless streak, at the weekend. Can they make it back to back road wins? We look ahead to the match up, who the key players might be, and what we should expect from the ‘Caps, who have three games in nine days. It’s also the season opener for TSS Rovers today. We chat with head coach Colin Elmes about the season ahead and lessons learned from last year, and to one of their newest additions, player/coach, and former TFC man, Nick Soolsma, fresh from winning a Provincial title with BCT Rovers Tigers United. Plus we take a look at the latest Whitecaps salaries that have come out, see how the weekend played out for the MLS western teams, discuss the latest big Canadian Premier League news and other headlines, and Goldie Lookin’ Chain return for our Wavelength section.